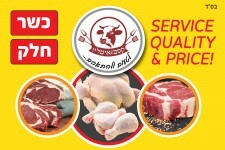 Selection of businesses in Modiin & the area that offer ModiinApp users an exclusive and fixed discount on every purchase! 10% Off All Air-Con Jobs! Fixed 10% discount for ModiinApp users on all air-conditioning jobs! Plus, a further 3% donation is made for every client to local charitable causes. Part of the app's "Fixed Discounts All-Year Round" category. No duplication on offers. Valid on every job and for all materials all year round! 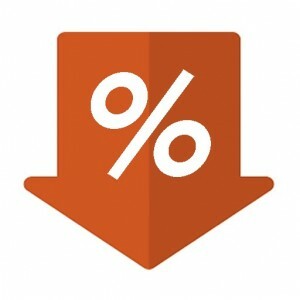 Exclusive fixed discount for ModiinApp users! No duplication on offers. 5% Off All Products - All Year Round! 5% off all products in store! Exclusive fixed discount for ModiinApp users, valid on every purchase! And also - pack of 3 floor cleaning cloths + pack of 5 microfiber cleaning cloths for only 30 ₪ instead of 36 ₪! * *No duplicate offers. 20% Off All Boiler & Electrical Jobs! Exclusive deal for Modiin App users! Part of the app's "Exclusive Fixed Discounts Club". Valid on every transaction - no duplication of offers. Family Meal Incl. Burgers, Fries, Onion Rings & Drinks for Only 125 ₪! Family meal including: Three 110 gram hamburgers Platter of fried food including fries and onion rings Potato puree balls 1.5 liter bottle of drink All for only 125 ₪! * Also valid for deliveries. *No duplicate offers. 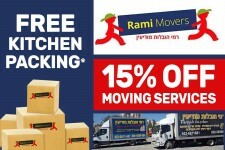 15% Off All Moving Services & Free Kitchen Packing - All Year! Fixed 10% discount for ModiinApp users on all activities when you visit the park! Part of the app's "Fixed Discounts All-Year Round" category. No duplication on offers. 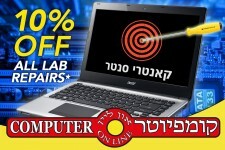 10% Discount on Lab Repair Services! 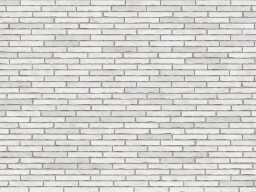 10% Off All Renovations and House Repairs! 5% Off All Purchases All Year Round! 5% Off the Entire Menu! 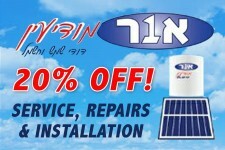 10% Off All Air-Con, Fridge and Freezer Repairs! Permanent solutions for your pigeon problem. Pigeons trapped in lofts Laundry hanging areas Roofs, roof tiles and gutters Balconies Window sills Railings * Modiin resident. Special prices for Vaadei Bait, using rappeling for tall buildings. 10% Off All Pigeon Removal Jobs! 10% Off All Appliance Repair Jobs! 25 ₪ Off Door Handle + Cylinder Lock Set! 10% Off Door Repairs and Cylinder Replacements!